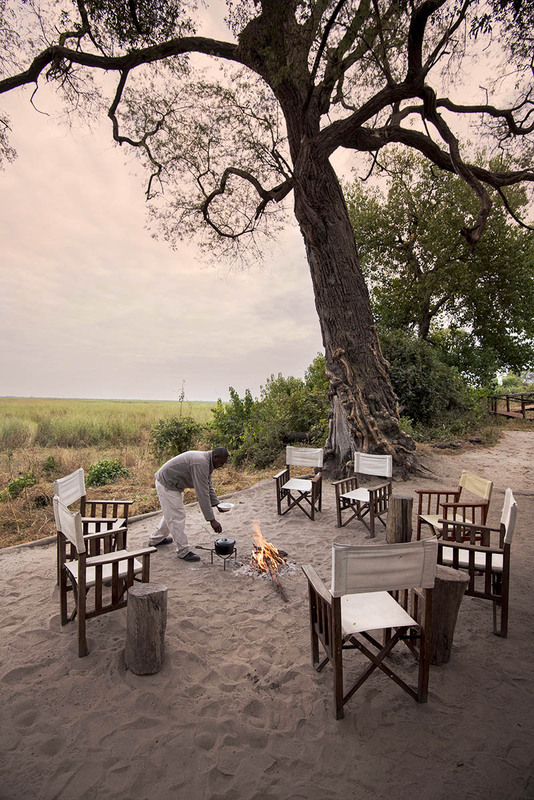 The Chobe Enclave is a true land of giants, with large herds of elephant and soaring trees. 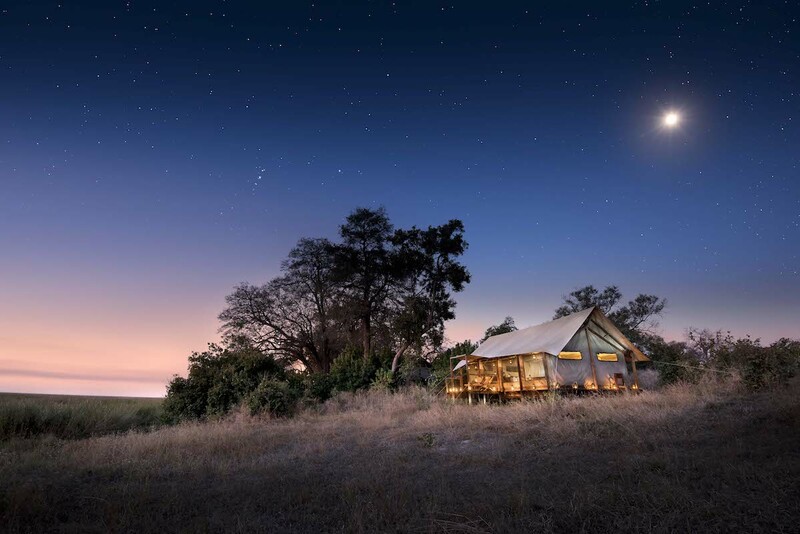 It’s beneath a stand of the latter that you’ll find the family tent at Linyanti Ebony, a luxury Botswana safari lodge that juxtaposes intimacy with the immense landscapes, megafauna and endless skies of northern Botswana. Our flight to Linyanti Ebony gives us a real sense of the beauty of this corner of northern Botswana, in the greater Okavango area. We soar over flooded plains and the Linyanti River as it twists through a largely flat landscape along the border with Namibia. The large herd of elephant we spot as we come in to land must love living here.A short drive brings us to Linyanti Ebony, and after the thrill of the flight it’s immensely calming to step on the deck and gaze out over the Linyanti marsh. The manager points out a black crake, a small bird foraging at the base of the reeds. Rather like us, it seems slightly dwarfed by its surroundings. I feel reassured by this, however, and as I gaze up at the interlaced branches of the giant African ebony trees high above my head, my partner’s fingers intertwine with mine: a family holiday with plenty of romantic moments is my idea of heaven. Our flight to Linyanti Ebony gives us a real sense of the beauty of this corner of northern Botswana, in the greater Okavango area. We soar over flooded plains and the Linyanti River as it twists through a largely flat landscape along the border with Namibia. The large herd of elephant we spot as we come in to land must love living here. 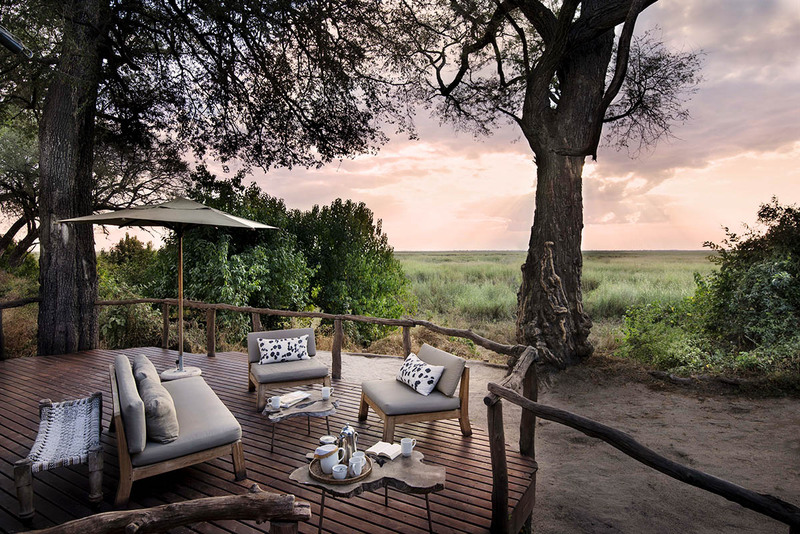 A short drive brings us to Linyanti Ebony, and after the thrill of the flight it’s immensely calming to step on the deck and gaze out over the Linyanti marsh. The manager points out a black crake, a small bird foraging at the base of the reeds. Rather like us, it seems slightly dwarfed by its surroundings. I feel reassured by this, however, and as I gaze up at the interlaced branches of the giant African ebony trees high above my head, my partner’s fingers intertwine with mine: a family holiday with plenty of romantic moments is my idea of heaven. I’m relieved to see that our family tent is at one end of the camp – I’d hate to have to ask the kids to curb their enthusiasm on a trip like this. They’re already running ahead of us, small safari boots clattering happily on the raised wooden walkway. The cleverly-designed layout of Linyanti Ebony means that the family tent becomes in effect our own lodge within a lodge.Inside, the design of the tent is just perfect – two adjoining bedrooms, ours with a double bed, and then a large single bed for each child, all with mosquito nets. The only ‘bugging’ I expect we’ll have is by the kids themselves, should they hear anything go bump in the night.The décor, all dark wood and old trunks, adds to the sense that this is an exploration. Although we’ve been on safari before, we’re in slightly uncharted territory as it’s our kids’ first trip to Africa. It’s all they’ve talked about for months – and will be for years afterwards, no doubt.Our youngest has climbed into the bath and is doing a great impression of a hippo, while the oldest is outside on our private deck, having stepped through the unzipped mesh door that allows both cool breezes in and relaxed kids out. I’m relieved to see that our family tent is at one end of the camp – I’d hate to have to ask the kids to curb their enthusiasm on a trip like this. They’re already running ahead of us, small safari boots clattering happily on the raised wooden walkway. 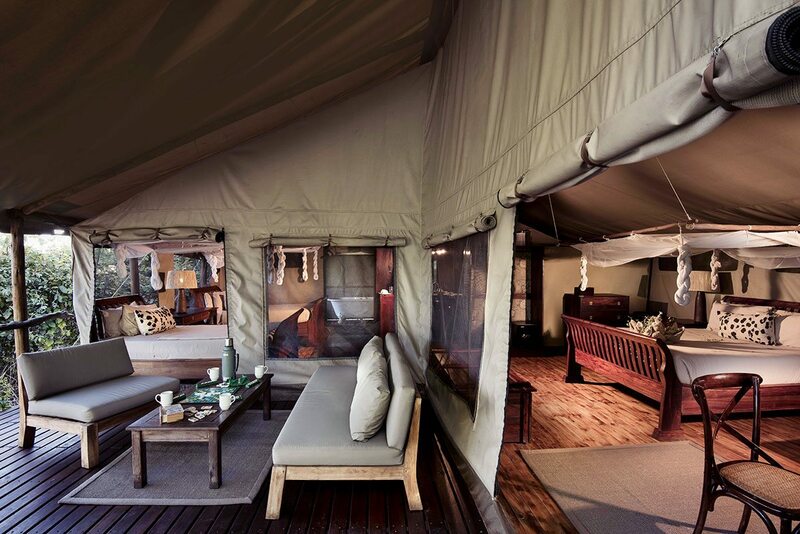 The cleverly-designed layout of Linyanti Ebony means that the family tent becomes in effect our own lodge within a lodge. Inside, the design of the tent is just perfect – two adjoining bedrooms, ours with a double bed, and then a large single bed for each child, all with mosquito nets. The only ‘bugging’ I expect we’ll have is by the kids themselves, should they hear anything go bump in the night. The décor, all dark wood and old trunks, adds to the sense that this is an exploration. Although we’ve been on safari before, we’re in slightly uncharted territory as it’s our kids’ first trip to Africa. It’s all they’ve talked about for months – and will be for years afterwards, no doubt. Our youngest has climbed into the bath and is doing a great impression of a hippo, while the oldest is outside on our private deck, having stepped through the unzipped mesh door that allows both cool breezes in and relaxed kids out. 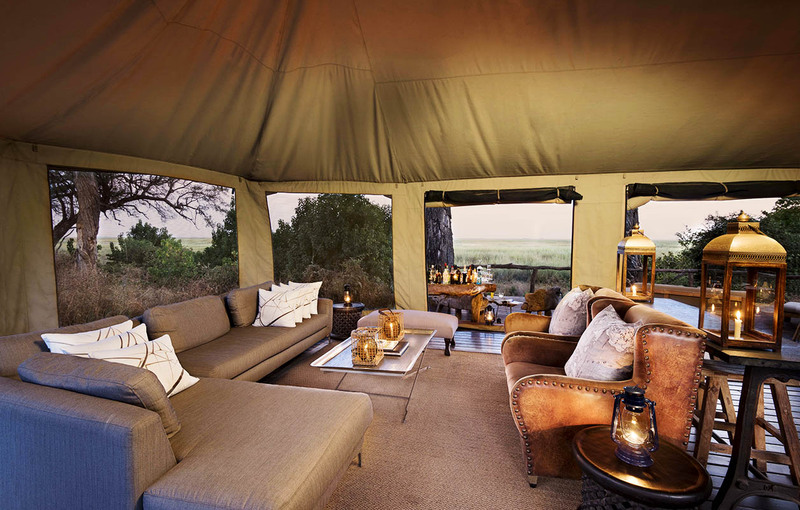 The dedicated family tent means we can enjoy our own safari holiday without impacting on the other guests – and without our kids having to moderate their enjoyment of their new favourite place in the whole wide world. Although they’re too young to go on a walking safari, our guide has already promised to take them on a shorter walk close to the camp. That’s just one example of the genuine thoughtfulness that goes into everything here, particularly when it comes to children.It also shows that they understand that from time to time parents appreciate a little break, too – even if I know I’ll miss them and be impatient to hear all about their adventures when they return! 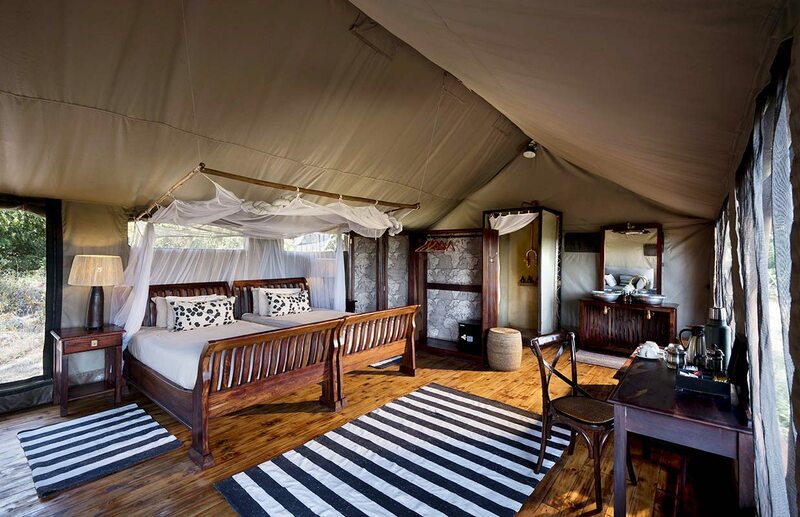 The dedicated family tent means we can enjoy our own safari holiday without impacting on the other guests – and without our kids having to moderate their enjoyment of their new favourite place in the whole wide world. Although they’re too young to go on a walking safari, our guide has already promised to take them on a shorter walk close to the camp. That’s just one example of the genuine thoughtfulness that goes into everything here, particularly when it comes to children. It also shows that they understand that from time to time parents appreciate a little break, too – even if I know I’ll miss them and be impatient to hear all about their adventures when they return! 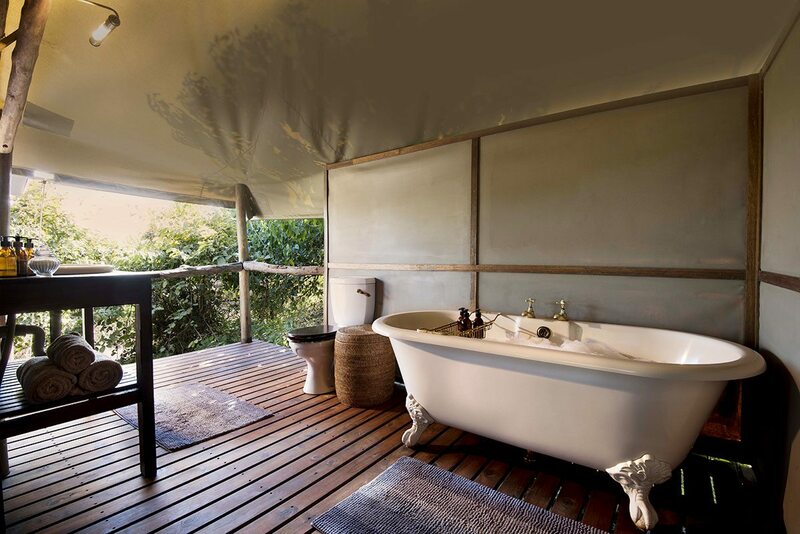 Private two-bedroomed family tent, sleeping four, set on a raised wooden deck overlooking the Linyanti marsh. 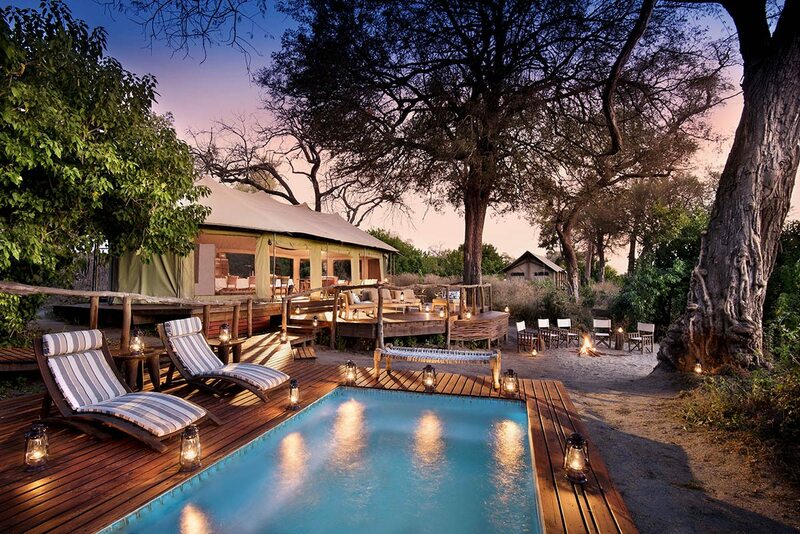 Located at a luxury safari lodge with a splash pool and just three other guest tents. 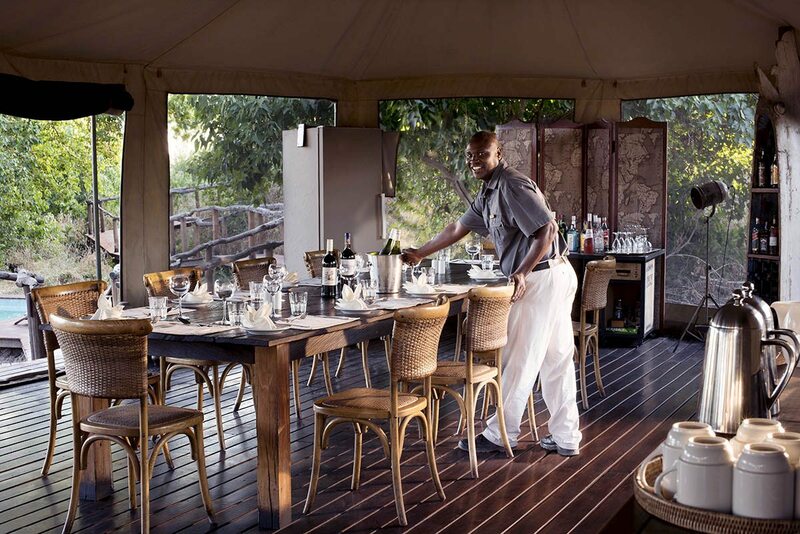 Private dining, flexible schedules, private vehicles available (additional cost) and the entire camp can be booked for sole use. 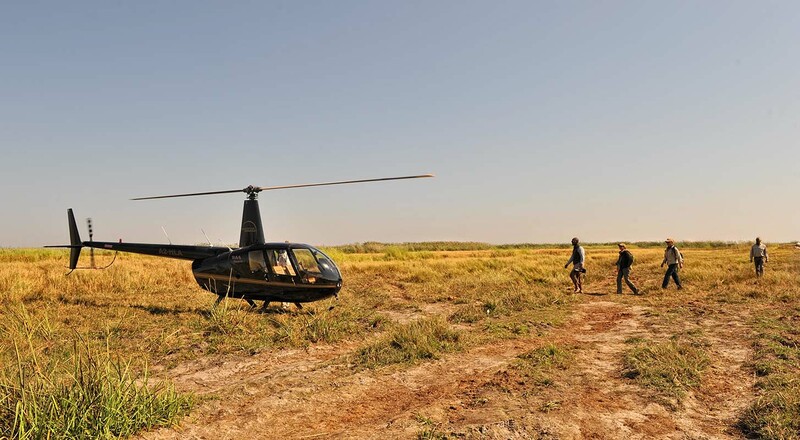 Game drives, night drives, walking safaris (minimum age 16), bird watching, catch-and-release fishing, mokoro excursions (water level-dependent), swimming and helicopter excursions (one complimentary, further at additional cost). All ages welcome. Family tent, with two adjoining bedrooms, is perfect for families. Short walking safaris close to the lodge available for younger children. This is peak safari season – and, from end July, peak flood season. 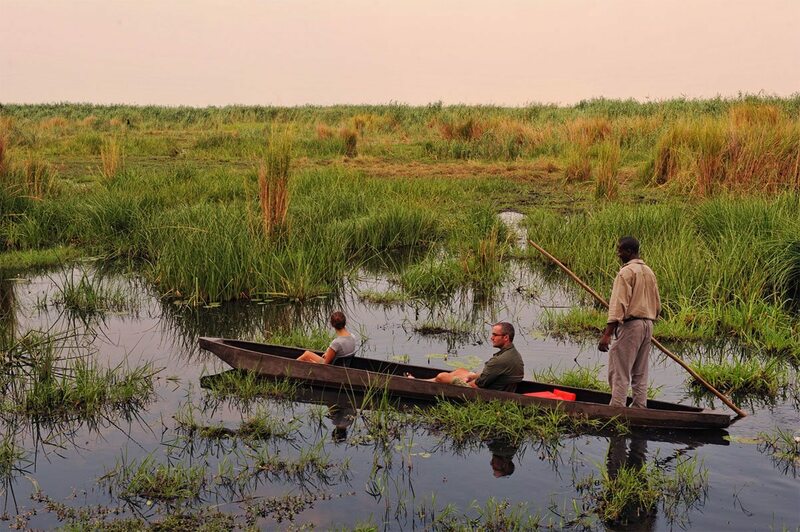 The in-creeping waters, which fall as rain in Angola in the previous summer – bring new life to northern Botswana. Confusingly, you’ll see much more water in this cooler, drier season. Fresh early mornings and evenings pair with warm days for a pleasant winter climate, and the encroaching waters reduce the land available, concentrating the wildlife. Animals are also easier to spot, as the vegetation recedes due to lack of rain. Water-based activities complement the more conventional game drives and guided walks, especially when the water depth peaks. 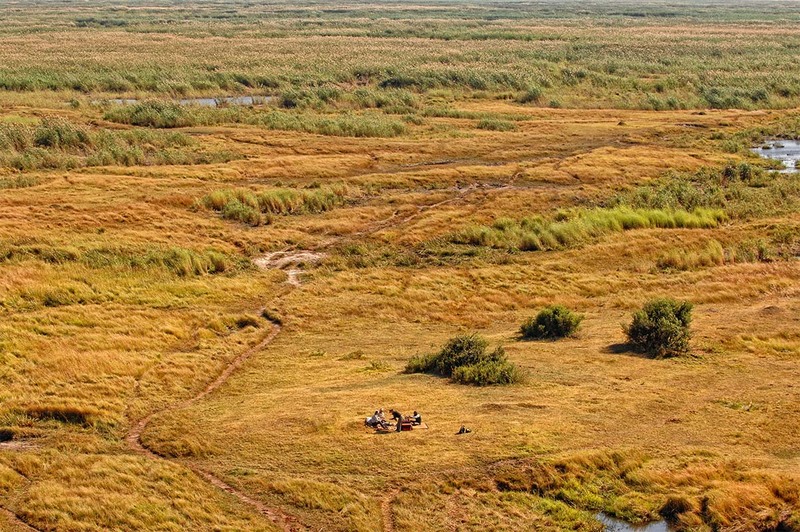 Botswana’s summer or green season is traditionally quieter, meaning you’re even more likely to have pristine swathes of wilderness to yourself. As the heat builds up, so too do the clouds, resulting in short but sharp afternoon electric storms. The bush bursts into life almost overnight: plants grow rapidly, many baby animals are born (and many are taken by predators) and migratory birds arrive en masse. As the flood recedes, floodplains become accessible again, expanding the reach of game drives. It’s a busy time for the wildlife, and a beautiful time to visit.